PCT/EMC Frame + PPL Technology solves the blackening problem caused by vulcanizing, oxidation and bromination. Good heat dissipation (PCT/EMC Frame); Long life span-more than 50,000 hours of life (L70); Excellent Anti-UV, anti-yellowing; AT35/30/50/70 achieved mass production. 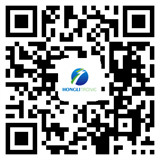 HONGLITRONIC (Hongli Zhihui Group SZ.300219) was founded in 2004, the headquarters is located in Guangzhou, China. HONGLITRONIC is one of the 3 largest high quality LED Packaging manufacturers in China, specialized in production and development of SMD LEDs, COB LEDs, High Power LEDs, Automotive LEDs, UV LEDs, Infrared LEDs etc. It currently has 2 LED package manufacturing plants in China (Guangzhou and Nanchang city).